: A non greasy moisturizing lotion containing aloe-vera, a natural moisturizer noted for its deep penetrating abilities to soothe chapped and dry skin. It also improves skin texture. Keep your skin feeling satin-soft with this luxuriously rich, non-greasy formulation, which nourishes and heals as it moisturises. Allantoin conditions the skin and soothes minor skin irritations while Vitamin E provides vital nourishment to the skin and protects it from the drying effect of pollution to keep it unbelievably soft. Key Ingredients : Aloevera juice, Vitamin E oil, Jajoba oil & Tankan Khar in Lotion Base. Concept : Hand & Body Lotion is a rich & non greasy formulation which lubricates, moisturizes and at the same time treats your body. It is quickly absorbed by the skin, leaving the body soft, supple and smooth. It does not allow the skin to dry. Formulated with Aloe Vera juice, Tea Tree, Rosemery and Basil Oil. This daily moisturising lotion, with the pure essential oils of Rose & Jasmine is perfect to hydrate & soften skin. Our clients can avail from us a wide variety of Hand & Body Lotions with vitamin E. This lotion makes the skin more beautiful and smooth by increasing its moisture content. Further, the range is highly appreciated for its cost-effectiveness and quality, which is at par with the industry norms. 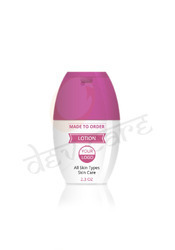 Quick penetrating body lotion enriched with vitamin E. A unique blend of moisturizer shea butter, Kokum butter and aloevera. Shea Butter and Kokum Butter- Excellent skin emollient & skin softening properties. Restore skin moisture & suppleness. Almond Oil, Aloevera Ext, Lemon Peel Ext, Licorice Ext, Vitamin-e. Apply all over Hand and Body. Smoothen till skin absorb it. A non-greasy daily body lotion infused with natural antioxidants and Sun Protection Factor 15 that offers double protection for your skin! Free radicals can damage your skin, causing it to look dull and lifeless. Antioxidants can help neutralise these free radicals. This fantastic new body lotion is infused with the best-known antioxidants, vitamins C and E.
Aloe V Hand and body lotion is a rich creamy lotion contains natural goodness of Aloe vera. Easily absorbed by skin, this non-greasy formulation maintains elasticity of the skin and nourishes skin to leave it soft, smooth, supple and glowing with health. A natural herbal blend with wheat germ oil & Aloe Vera to restore moisture & suppleness. 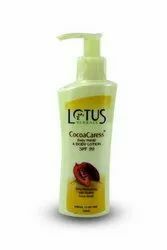 Soothes & moisturizes dry irritated chapped skin. It gives healthy glow without the shiny feel. Helps rejuvenate & regenerate skin. A revitalizing, textured and rejuvenating lotion rich in natural oils and extracts that soften & protects the skin. Readily absorbed leaving body moisturized and protects the skin from rashes due to humidity and dryness. Counteract the drying effect of soap & water leaving skin satin smooth. This luxuries daily hand & body lotion effectively moisturizes body skin, helping to reduce dryness and provides all day moisture protection. This lotion helps skin develop its natural looking color without streaks, reaching maximum intensity after continuous application. To meet the precise demands of clients, we offer a wide range of Ayurveda Hand and Body Lotion. So much love in just one hamper. This assembled hamper has it all to cover up their space with you. Just one buy will do that magical task of keeping them in your mind. - A printed mug with catchy prints. - The mug is made in ceramic and the prints are solid. - One diary in blue.